The company has also recently cut its dividend to further conserve cash. Still, its shares now yield a solid 3.7%, which appears sustainable. PEYTO EXPLORATION & DEVELOPMENT CORP. $7.05 (Toronto symbol PEY; www.peyto.com) produces and explores for natural gas and oil in Alberta. Its production is 89% gas and 11% oil. In the quarter ended September 30, 2018, the company’s output fell 16.4%, to 85,242 barrels of oil equivalent per day from 101,951 a year earlier. 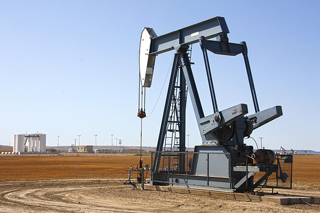 Peyto shut down some of its producing wells while it waits for gas prices to move higher. Cash flow fell 22.4%, to $0.66 a share from $0.85. The lower production as well as lower gas prices contributed to the decline. Peyto plans to spend $185 million on exploration in 2019. That’s down 17.4% from $224 million in 2018, and down sharply from $517 million in 2017. Still, this year’s spending, plus ongoing drilling success, should position it to report rising output when gas prices rebound. The company’s long-term debt stands at $1.1 billion, or a high, but manageable, 92% of its currently depressed market cap. To conserve cash, Peyto recently cut its monthly dividend by 66.7%, to $0.02 from $0.06. Its shares now yield 3.7%, but its new dividend appears sustainable based on its forecast cash flow. Like all natural-gas-weighted producers, Peyto will need gas prices to move higher to report rising cash flow. However, we still like its long-term prospects. Recommendation in Canadian Wealth Advisor: Peyto Exploration is a buy. dividend, cash flow, monthly dividend, canadian.